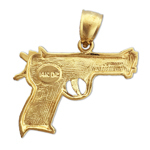 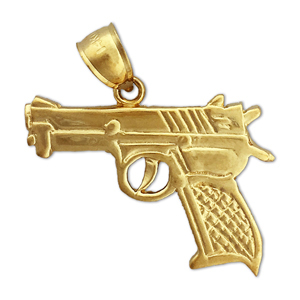 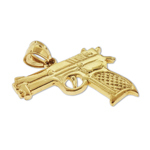 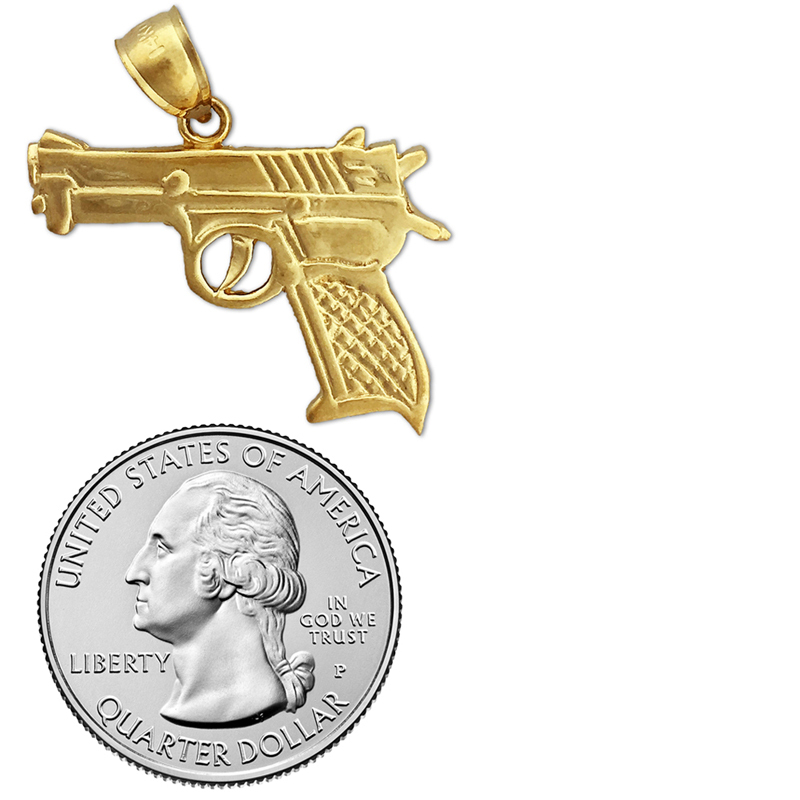 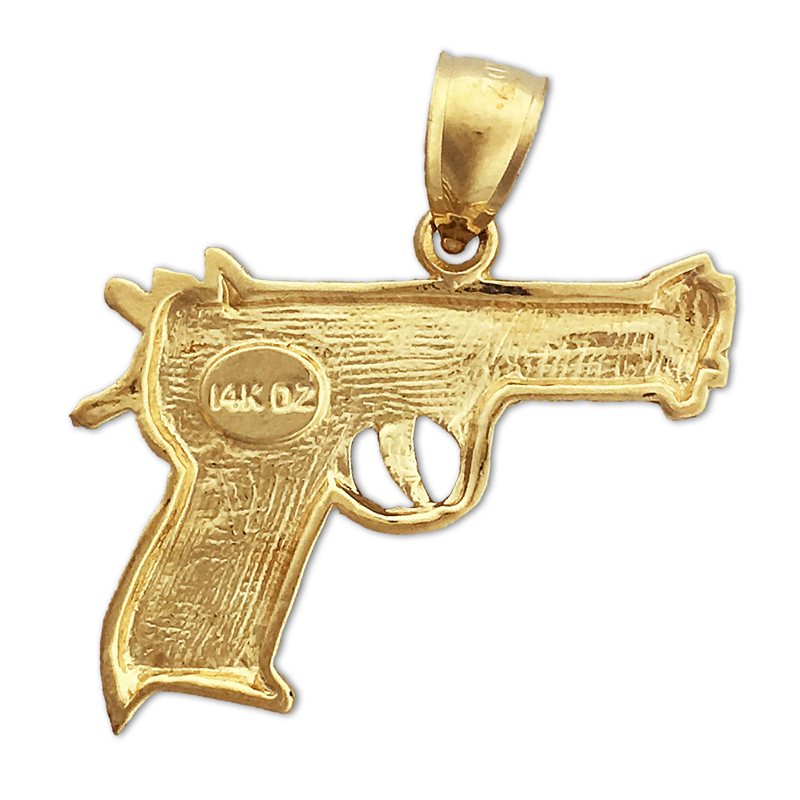 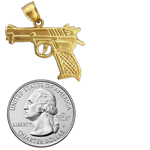 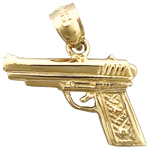 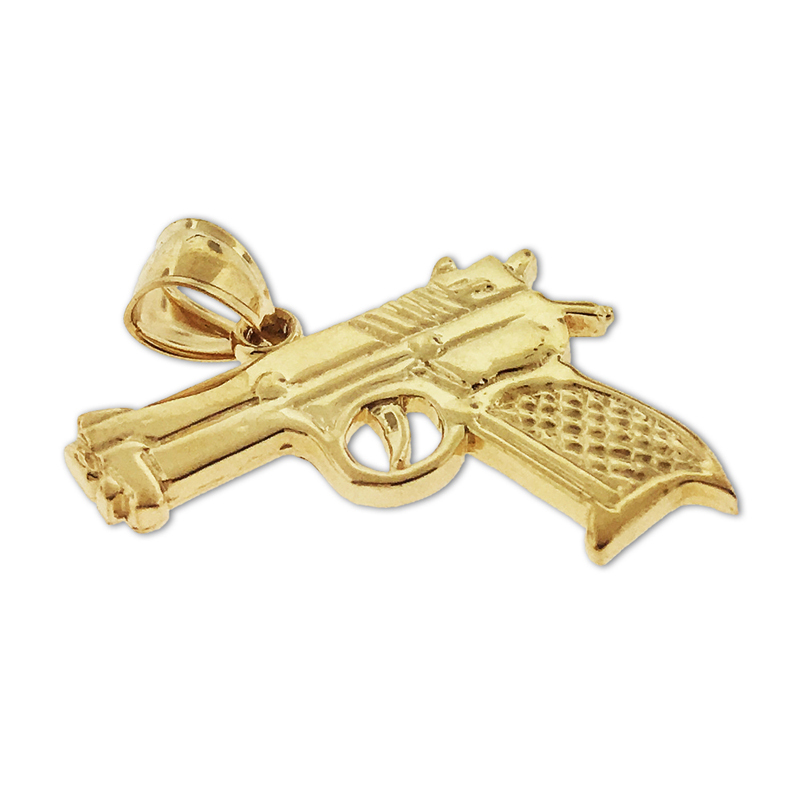 With attention to detailing this 14k gold 9mm pistol gun charm pendant makes an impressive addition to any firearm jewelry collection. Pendant is crafted out of polish finish with open back design; it measures 1 1/8 " wide by 13/16" high and weighs approximately 3.9 gram(s). Highly recommended to be worn as a necklace. 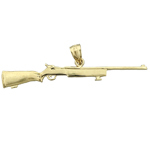 • Width: 28MM - 1 1/8 "